What are the best movies of all time? WTOP Film Critic Jason Fraley ranks his favorites across 30 different genres. Join us each day in August as he discusses his picks in the live blog below. Leave your questions and comments for Jason to answer throughout the month. Hey guys! Jason here. I'm SO stoked to hash out my best movies list with you. I want this to be a conversation, so by all means leave your questions, comments, what I got right, what I got wrong, and why you think I'm such a dummy for leaving off a certain movie! I'll do my best to explain all of my choices (trust me, it was a giant puzzle of movie history). I'll be checking the blog periodically every day, so if I don't respond right way, please check back. Thanks to everyone who has already emailed and commented on social media. We may even have some special guests throughout the month to break it down. This should be fun! Fun concept, and I heartily endorse most of these selections. But ... no place for the John Wick films? I searched in Action, Crime, Gangster, and even Thriller. The series is the most revered, dynamic, and well crafted of the 21st century. Love this list! I think I would have ranked 'Escape from Alcatraz' a little higher on the Prison list. And I would've put 'Back to the Future' in the Family Drama list instead of Science Fiction; and 'The Terminator' would have been on the scifi list in its place. Those are the only things I would have done differently. Other than that, we are surprisingly similar in our taste in movies! Did I miss it? Groundhog Day didn't make comedy or romantic comedy lists? Jason: Another category: "Quirky/One-Off". Napoleon Dynamite, and Nacho Libre. Classics that EVERYONE loves. Bernie, another Jack Black'r, and Sling Blade/BillyBob! Great stuff. Kudos, Jason - clearly a labor of love and well considered. For further consideration... Action: The Killer/Hard Boiled; Speed; The Rock, and especially Aliens! (I know you have the series in Sci-Fi). In Crime or somewhere: Topkapi. In Epic or Adventure: Man Who Would Be King. In Sci-Fi: Forbidden Planet and Star Trek (2009) (could be Action). In Sports: Tin Cup. In Westerns: Ride the High Country and Silverado. SERIOUSLY? How dare you snub The Birdcage?? That movie is a comedic masterpiece. Another comedy for ya: "Quick Change," w/bank robbers Bill Murray, Geena Davis, Randy Quaid. Hilarious character actors, also. Military: "We Were Soldiers," (Mel Gibson, Sam Elliot). Wonderful, true story of Ia Drang/Vietnam battle. Don't forget "Being There," Peter Sellers, Shirley MacLaine. Masterpiece. Brazil (Terry Gilliam), Twelve Monkeys (Terry Gilliam) vice Let Jetee, Funny Farm (Bob Clark), Thor Ragnarok, Guardians of the Galaxy, and Phantom of the Opera (Lon Chaney Sr.) all deserve to be on this list. Sports category: Where is "Raging Bull?" Grand Prix? Forget the plot, enjoy the cinematography. I 100% endorse your opinion that The Lion King is the best animated movie of all time. The score, the jokes, the drama...did I mention the score? Thank you thank you. I credit "Beauty & the Beast" (#5) and "The Hunchback of Notre Dame" (not on the list) for going on summer study aboard as a college student in the early 2000s. How did Raising Arizona not make this list?? Day #6: What are the Best Coming-of-Age Movies? "Summer of '42" and "Peyton Place" conspicuous by their absence. Maybe a case could be made for "The Paper Chase" also. My all time favorites, seven brides for seven brothers and what ever happened to baby jane. my 15-year-old son and i ran through your lists - and while I admire the effort, some of the lists were a bit perplexing. if you are couching these as your favorites (as opposed to best), then there can be no argument. but, taking the courtroom drama genre as an example, it is difficult to take seriously a list with that name when it includes legally blonde. My top five would have been Nuremberg, 12 angry men, roshomon, anatomy of a murder and mockingbird. i also think that the people v larry flynt and a lesson before dying merit inclusion, though the latter i include because the book was incredible (and the film was actually a made-for-tv production...but still poignant and well done). Day #7: What are the Best Courtroom Movies? By Grabthar's hammer - Where is Galaxy Quest? Day #8: What are the Best Crime Movies? Day #9: What are the Best Documentaries? Day #10: What are the Best Movie Dramas? You saved yourself from the woodchipper by putting Fargo up at #2, (should be #1, and, the only movie the late film critic at ABC Joel ? said he sat through twice); however, you're going IN my wood-chipper if you don't put "Napoleon Dynamite," "Bernie," and "Nacho Libre" on your NEXT list, my friend, say in a "Unique/Quirky/One-N-Done" category. Also, no "How The West Was Won," "Goodfellas," and "Saving Private Ryan?" I probably missed them, and will go back. Great job! Day #11: What are the Best Epics? Day #12: What are the Best Family Comedies? Day #13: What are the Best Family Dramas? ​Day #14? What are the Best Fantasy Movies? Lord of rings. Also, for animation, coco. Day #15: What are the Best Film Noirs? I reviewed all of Jason's genre lists and cannot possibly understand how the list for comedies omitted A Fish Called Wanda. Day #16: What are the Best Gangster Flicks? Day #17: What are the Best Horror Flicks? 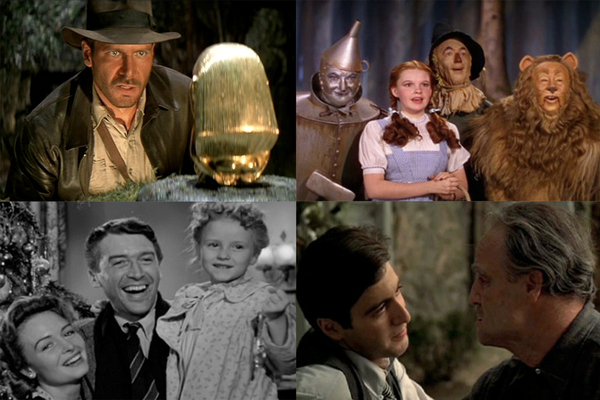 Day #18: What are the Best Movie Musicals? Day #19: What are the Best Mystery Movies? Day #20: What are the Best Politics & Media Movies? Day #21: What are the Best Prison Flicks? Day #22: What are the Best Movie Romances? Day #23: What are the Best Romantic Comedies? ​Day #24: What are the Best Sci-Fi Movies? Day #25: What are the Best Showbiz Movies? ​Day #26: What are the Best Silent Movies? Day #27: What are the Best Sports Movies? Day #28: What are the Best Thrillers? Day #29: What are the Best War Flicks? Re "Best War Movies;" Paths of Glory? The Bridge on the River Kwai? The Thin Red Line? Schindler's List? Maybe pick one of two of these and omit the obscure foreign films no one's ever seen or heard of. I wouldn't have included The Dirty Dozen because it's so improbable. The goes for Inglorious Basterds. Just too ridiculous. "Best War Movies," No particular order but here we go: Sergeant York, Green Berets, Battle of the Bulge, Patton, The Longest Day, Bas Boot, Full Metal Jacket, Glory, Saving Private Ryan, A Bridge too far, Memphis Belle, and of course... MIDWAY. Day #30: What are the Best Westerns?